Witness the vivid pageantry and mystic spirituality of the Serdra festival at Punakha, the ancient capital of Bhutan. The Serdra commemorates a victory over Tibet in the 17th c. and is highlighted by the magnificent Golden Procession which re-enacts the battle. Galloping horsemen (descendants of the ancient warrior clans, or prasaps), monks in antique silk robes, dives into the river to retrieve oranges, and a blessing by the Je Khenpo or Chief Abbot in powerful Black Hat dress are all part of this unique festival, where the largest Thongdrel or Great Thangka in Bhutan is displayed. We’ll explore the balmy Punakha valley with some easy hikes, and cross the Black Mountains into central Bhutan to see the beautiful dzongs, temples and farms of the lovely, peaceful Bumthang valleys. On the way back, visit the high Gangtey valley, where the rare and magnificent black-necked cranes, the Birds of Heaven, return each year to find refuge until spring comes to the mountains of Tibet. 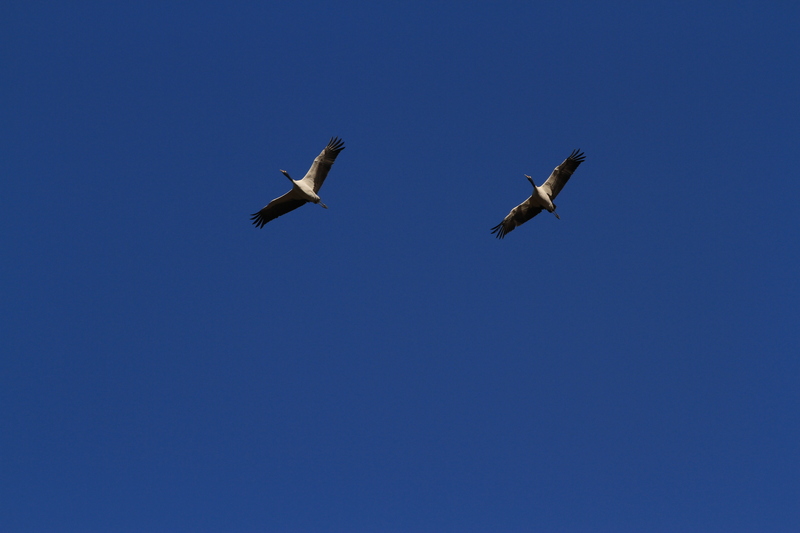 These cranes, the last of the species to be discovered, the least-known and most difficult to see according to Peter Matthiessen, are considered supernatural or “fairy” creatures in Bhutanese and Tibetan folklore. Your trip includes hikes to the Tiger’s Nest, temples and a nunnery, and a kaleidoscope of discovery in this remote and ancient land.